This is one of only five being made at full size. Each one is different and so if you like it there will not be another. 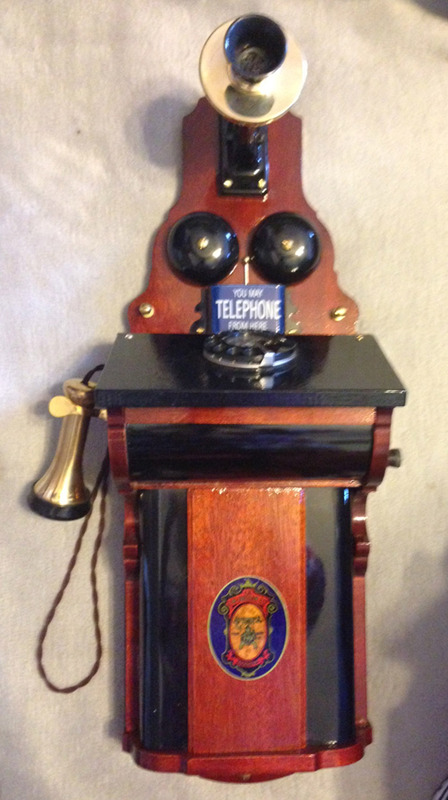 Copy of an Ericsson C1910. This is a project a friend and I have been working on for many years. He has manufactured five only and all are different. As you can see they are quite a statement and made from quality wood. Take for example the back board which is made from 1" thick hard wood. The working internals and dial etc are taken from more modern 1970s GPO telephones. A big and expensive project and as I said only five will be made. They are just too large to pack and post on a regular basis and so the next generation will be 3/4 size or less. This would look fabulous behind a bar or club or even a man cave. 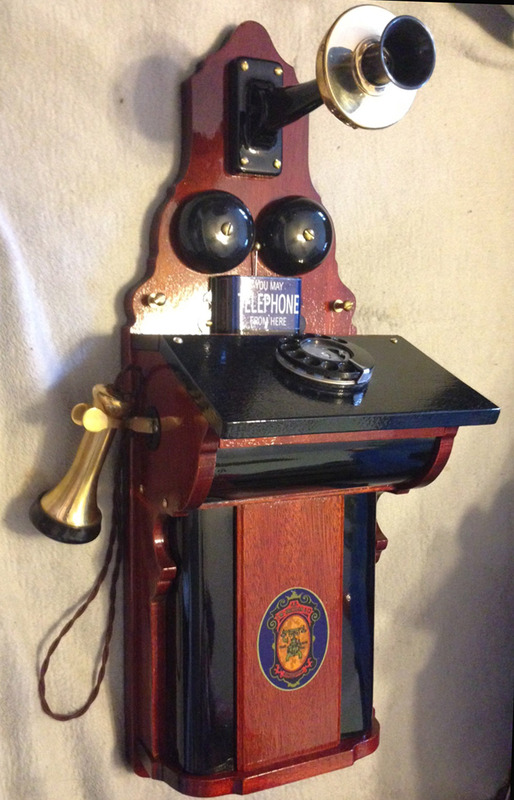 This telephone is fully working with an electronic microphone. The pictures were taken from a mobile telephone and so are not as good as I would like but will be updated in the next few weeks.